New mainline entry reportedly also coming to smartphones. Last week, Capcom confirmed it is developing Switch titles to be released after April 2018, including the Ace Attorney series. Today, Kotaku UK is reporting that three Ace Attorney titles are planned for Switch, citing two independent sources. The first two titles are reportedly compilations due out between April 2018 and October 2018. The first is said to be a compilation of Phoenix Wright: Ace Attorney, Phoenix Wright: Ace Attorney − Justice for All, and Phoenix Wright: Ace Attorney − Trials and Tribulations. And the second is said to be a compilation of Apollo Justice: Ace Attorney, Phoenix Wright: Ace Attorney − Dual Destinies, and Phoenix Wright: Ace Attorney − Spirit of Justice. The third title is reportedly a new mainline entry in the Ace Attorney series planned for a worldwide simultaneous release on Switch and smartphones in late 2018. 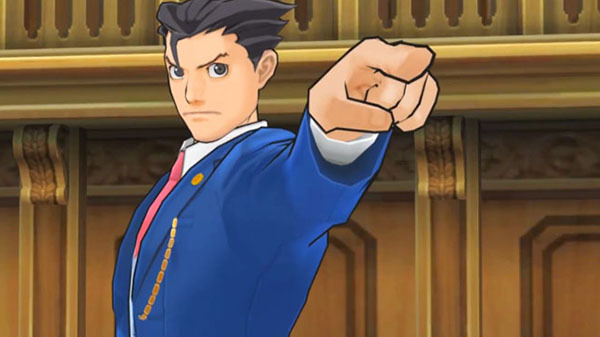 It is said to contain five cases at launch, and feature Phoenix Wright as the protagonist.